Which Lifecycle Process is Right for Your Marketing? What one thing can help you achieve these three things? Give up? The answer is a lifecycle process. You may be thinking, “Wait…what is that? !” Allow me to clarify: lifecycle is a process that enables leads to move through a joint sales and marketing process (sales and marketing, unite!) Typically, lifecycle is represented by a funnel which shows the progression of a lead from a starting point, (awareness), all the way through to the ultimate goal—usually revenue. A lifecycle is an efficient way for sales and marketing to work together in order to better track leads and at a lower cost. …But, there are different “species” of lifecycles [and no, I don’t mean “species” like Asterias rubens (starfish) for all my science (and beach)-loving friends]. Instead, I mean net new lifecycle, customer lifestyle, and partner lifecycle—all three are awesome, but each is distinct. So, let’s explore which species your organization should be classified as! If you are tasked with catalyzing people to engage with your organization, a net-new lifecycle process could work for you. Think of this lifecycle as your funnel for net-new leads. 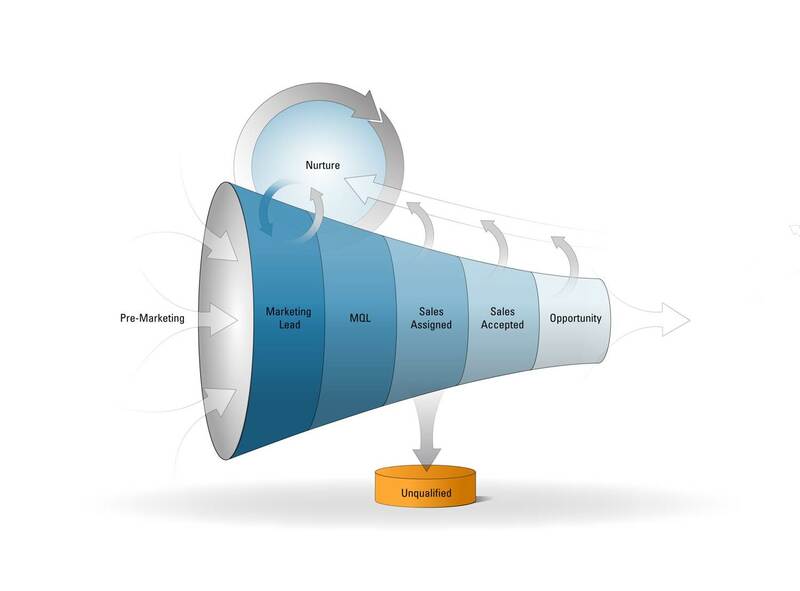 In this image, net new people come into the funnel on the left and progress through stages such as Marketing Qualified (MQL) and Sales Accepted (SAL). (This example assumes there is marketing and sales, but this aspect will vary by client or product). The point of the net-new lifecycle is to have a process for net-new acquisition and ultimately drive these people to revenue. How do we handle people at each stage? Is there just marketing, or is there marketing and sales? If sales is there, which notifications are needed? How do we communicate with people at different stages? How do we report on movement across the stages? Traditionally, the majority of marketing resources focus on this type of net-new lifecycle. As you probably figured out, the net-new lifecycle will get new customers in the door and typically all the way to their first purchase. A customer lifecycle will help you retain and upsell customers (Nice!). Vendors typically provide professional services, so this is a good resource if you need help. Each of the three species of lifecycle brings a similar type of process to bear on a different goal you might have. The degree of benefit each can provide varies by client. So it will be critical that you identify the benefits you want and prioritize. Who knows—if you are a large enterprise, you may need all three species! Which type of lifecycle works for you? Let us know in the comments below!